The Nakamise is a shopping street on the approach to Senso-ji Temple. 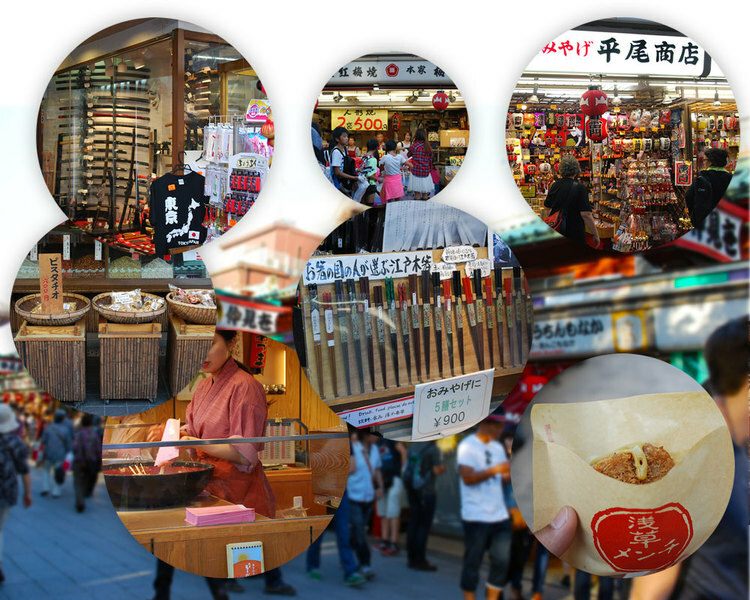 The length of the street is approximately 250 meters or 274 yards, and contains around 89 shops including outlets providing traditional souvenirs and Japanese sweets. The Nakamise shopping area is said to have been created in the early 18th century, when neighbors of the Sensō-ji Temple were granted permission to set up shops on the approach to the temple. In 1885, the government of Tokyo reconstructed the area in Western-style brick architecture. In 1923 when the Great Kantō earthquake struck, many of the shops were destroyed, and then rebuilt in 1925 using concrete, only to be destroyed again during the bombings of World War II.